This popular community centre renovation involved the conversion of existing office space to a multi-purpose room and offices. The project was undertaken by the client due to a massive demand for community centre programs. The new space uses include fitness classes, dance, art, children’s programming and events. In the new office area is space for work stations, storage and mail. The design intent was to meet the specific functional requirements of the client while creating attractive space in keeping with the design of the relatively new community centre. 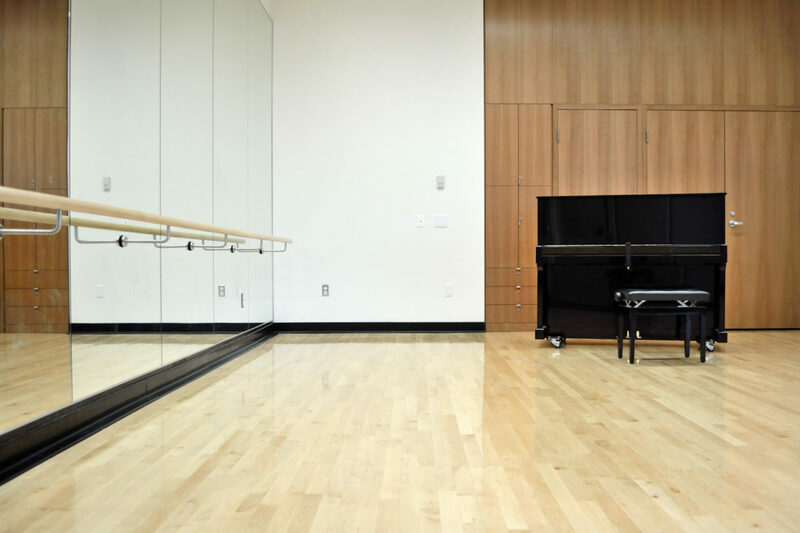 The new space includes a sprung wood floor and mirrored wall with ballet barre. The space needed supplemental ventilation and new lighting and power. The new work was coordinated so that building elements were consistent with the existing for operations and maintenance. This project was delivered below budget and met the stringent time constraints while minimizing the disruption of existing operations. See also: Centre for Occupational Health, Safety and Wellbeing, UBC. Posted in NEWS and tagged with community centre renovation .